It's that time of year again! 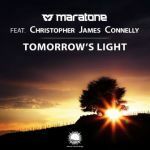 Here is this year's round of fan-voted favorites in orchestral and emotional uplifting trance! 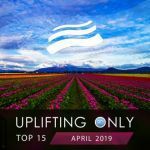 This mix compilation contains 46 tunes (or edits thereof) that won the weekly Fan Favorite vote through 2015 on Ori Uplift's Uplifting Only radio podcast aired on DI.fm, iTunes, and Spotify. It also contains 4 continuous mixes, for a total of 50 tracks. In fact, 24 of the 50 tracks have never before been released anywhere at all! Of the 50 tracks, there are 26 fully DJ-mixable tracks and 20 radio edits. Music by SoundLift, Ahmed Romel, Andy Blueman, Simon O'Shine, illitheas, Playme, Kelly Andrew, Geert Huinink, New World, Emanuele Congeddu, Afternova, Ikerya Project, Etasonic, Driftmoon, Mhammed El Alami, Kim, Dreamy, Farhad Mahdavi, Hiroki Nagamine, Cold Rush, Danny Claire, and more. In short, all the top orchestral uplifting artists. There are 16 radio edits that have never been released before. They are Giver of Life, Butterfly Effect, Finally With You (SoundLift), Freedom (Afternova), Outreach, Divination, KY Cygni (Emanuele Congeddu), Imagination, Miss You, Breath of Life, Dragana Song, Together We Are Strong, Bravery, Tranquility, Remember This Day, and Take My Hand.